Guys, as we all know that the Big Bash League is all going to start from the 19th Dec And the first match of the league will be played at The Gabba, Brisbane and the first match will be played between Brisbane Heat and Adelaide Striker. 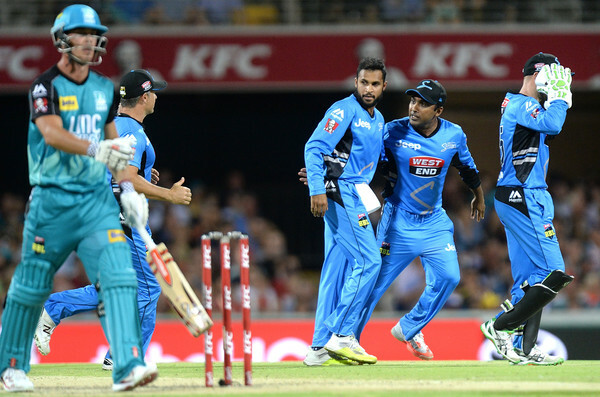 We all know that the Adelaide Strikers are the current champion of the league. We know that you are eager to see the predict the result of the match. So, for you, we are here providing you the stuff related to the prediction of this match. This match will be played at Brisbane Cricket Ground, commonly known as the Gabba, this is the home ground of the Brisbane Heat. You can see the detailed information from here. If you are going to watch this match, then you can start with the analysis for this match before. We all know that both the teams are capable of playing a good game at their level and change the mode of the game by their performance on the ground. In the various T20 matches, we have seen the game of almost every player in the team. Earlier in this, the league we already have seen that they are also the high scoring match. Both the teams are known for their excellent performance on the ground. If we see the head to head matches which are played between Brisbane Heat and the Adelaide Striker we can see that Adelaide Striker had the advantage because out of 7 matches 4 matches are win by the Adelaide and 3 are win by the Brisbane Heat. Although the Adelaide team had won many matches then Brisbane this time the match will be played on the grounds of Brisbane So they can have the advantage this time and earlier matches they lose are very close. We cannot consider Brisbane a weak team. In the last match which was played between Brisbane Heat and Adelaide Striker is loosed by the Brisbane Heat by 55 runs. Both the team had hard hitters and the very good bowler the captain of Brisbane Heat Brendon McCullum is a very fast batsman who is known for making run very fast and a renowned player. The team also consist of Chris Lynn, Shadab Khan, Cameron Gannon, and Ben Cutting. In the Adelaide Striker the team has Travis head as the captain with other players like Rashid Khan, Colin Ingram and Kelvin Smith.